Kashiwagi Sora is living a totally normal high school student life, when his self-proclaimed "adventurer" father sends him a mummy from his travels in Egypt! Sora balks at the letter from his crazy dad ("I found a cool mummy, so I decided to leave it with you, son!") at first, but the mummy that emerges from inside the huge coffin in his living room is a mere 12 centimeters tall--small enough to fit in the palm of his hand... Not only that, it's shy, a crybaby, and most of all, heckin' cute. 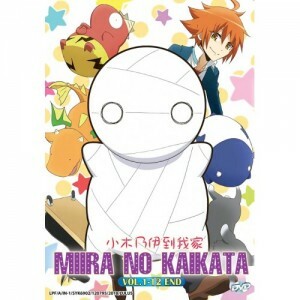 And so, Sora and ends up keeping the mummy, naming his new little buddy "Mii-kun." But living with a mummy might be easier said than done...!